Painted furniture, farmhouse cottage furnishings Painted Furniture Teddy Bear Keepsake Box Distressed Farmhouse Cottage Chic by Laurie Rohner. 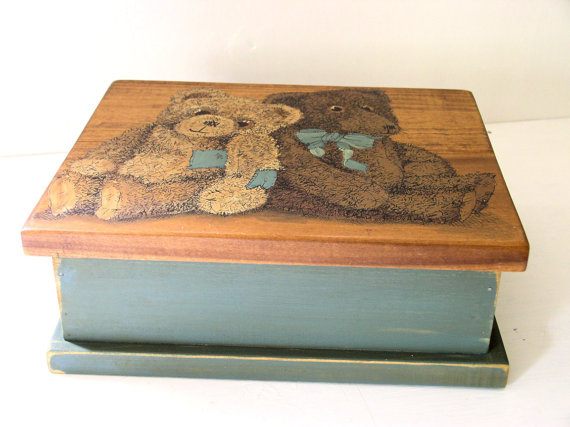 SOLD Cottage farmhouse distressed painted furniture keepsake box is painted with two Teddy bears. 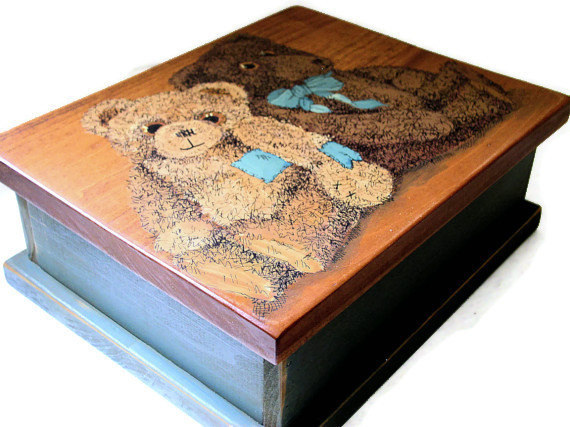 I painted and illustrated two Teddy's sitting back to back on the top of my handcrafted box. One has a blue bow and the other has a patch on his arm and one over his heart. The bears are honey brown and milk chocolate brown on warm honey stain wood. 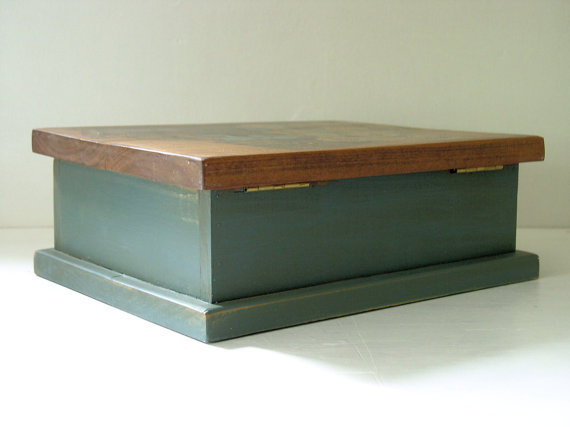 The base of the box is a warm blue and a little distressed and shabby chic. 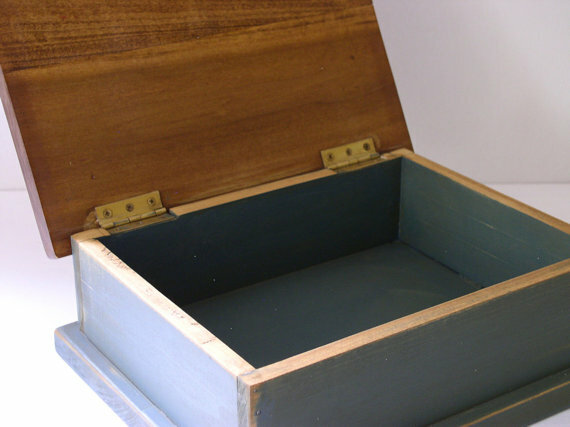 Organize all your baby's keepsakes in this nice sized wooden painted box. Great gift for all new babies and teddy bear lovers who like farmhouse cottage decor in the world. The drawing is hand drawn over the painted bears and then I seal both the painting and ink drawings. This is a time consuming process but well worth the effort. A well worn (not really) keepsake to treasure for generations. The box is made of poplar wood and hinged. I originally used this design on an old school bench for a designers country boys themed showcase room. This box was created as an accent piece for that room. I now offer it to you here in the shop.